One of the smallest states in the USA, Maryland boasts a wide range of topography, from sand dunes to rolling mountains. In fact, it is nicknamed ‘America in Miniature’ because it has such an eclectic landscape. Maryland is an outdoor lovers’ dream, being home to the Patapsco Valley State Park and Assateague Island National Seashore. Plus, the famous Appalachian Trail passes through it. There are mountains, waterways, marshlands and beaches. The state is also home to a number of fantastic lakes. Maryland’s largest inland body of water is also one of the state’s top attractions. The 1,578 hectare lake is not only a great spot for recreational activities, but also quite spectacular thanks to its surrounding forested mountains. 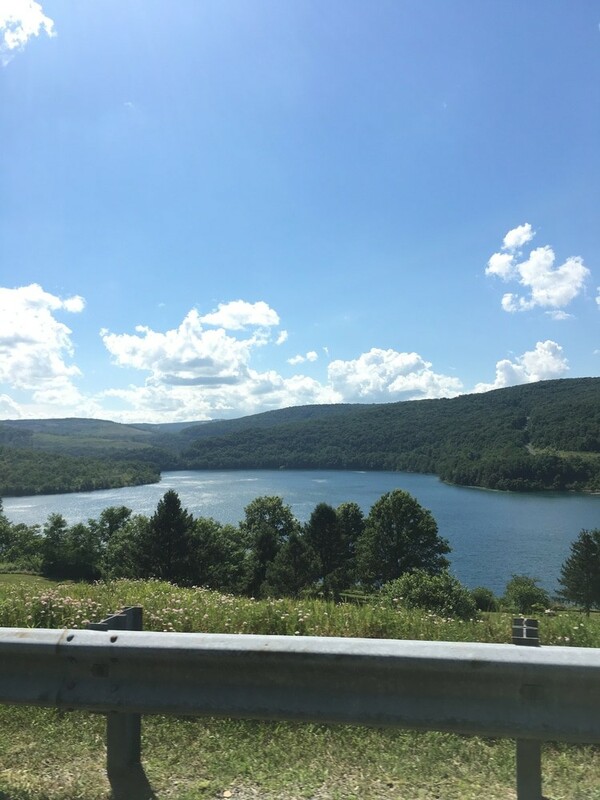 Deep Creek Lake is the perfect playground for water sport lovers, offering activities like tubing, water-skiing, wakeboarding, jet skiing and paddling. It also boasts 111 kilometres of shoreline. The lake is also an excellent fishing spot, as numerous fresh water fish call the lake home. Fish commonly caught in the lake include largemouth bass, rock bass, northern pike, brown trout and walleye. 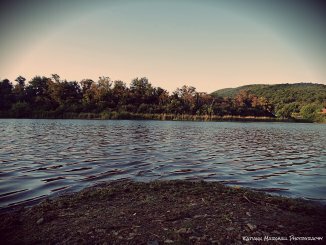 Part of the Rocky Gap State Park, Lake Habeeb is a 98 hectare reservoir that is nestled against Evitts Mountain. The lake was named after florist Edward Habeeb, who helped in the development of the area. There is over 15 kilometres of shoreline around the lake, which boasts three great beaches. Swimming, camping and hiking are just a few of the things that can be enjoyed here. 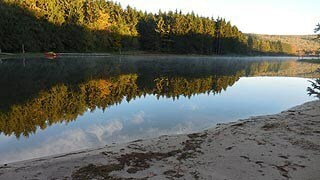 Lake Habeeb also has some superb fishing, which is permitted 24 hours a day! Largemouth bass, bluegill, rainbow trout and channel catfish are just a few of the species that live in the water. 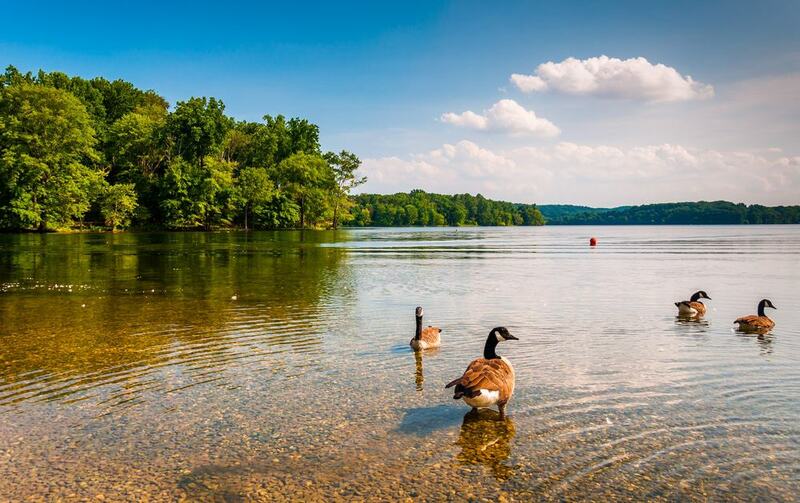 The 30 hectare Lake Needwood was created to help with flood control. 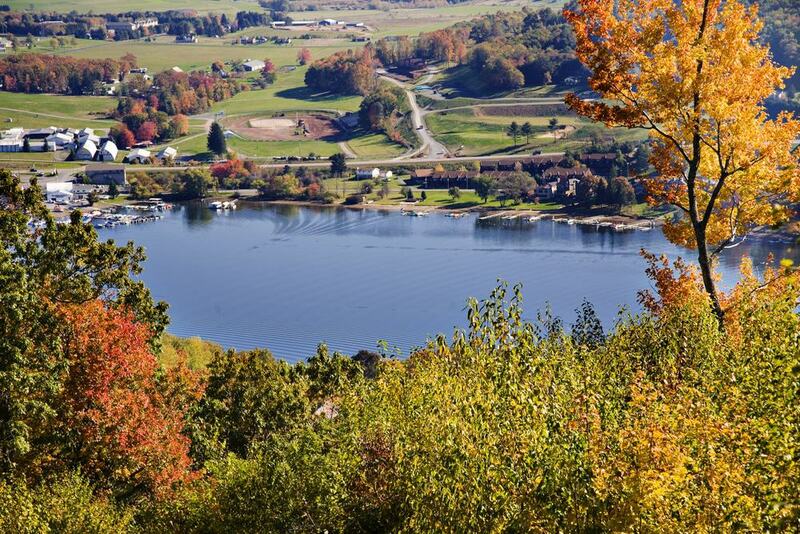 It is also a fabulous recreational lake, offering boating, rowing and canoeing. Fishing is permitted, though you will need a fishing licence. Those that would prefer to enjoy the water from land can hike along its shoreline trail. 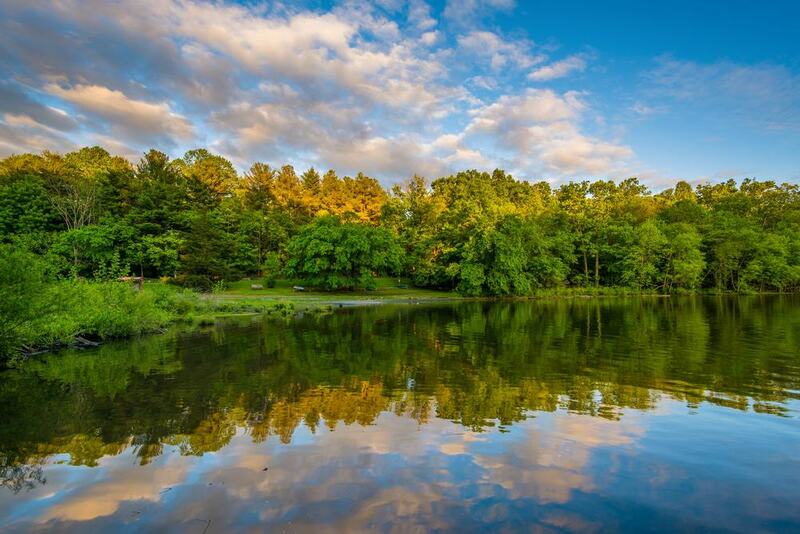 The trails surrounding Lake Needwood offer picturesque views of the lake and it surrounding hills. There are also picnic areas, a playground and a snack bar on the shores of the lake. Loch Raven Reservoir provides drinking water for the city of Baltimore. It is also used for recreational activities, especially by city dwellers on a hot summer day. Boat rentals are available for those that want to fish for bass, bluegill, crappie, white perch or walleye, though there are also plenty of other species that can be caught here. Swimming is not allowed, as the water is used for drinking. Those that would rather enjoy the lake from inland can enjoy viewing it while hiking along its surrounding trails. It is also a great place for an afternoon picnic. This man-made lake is surrounded by Centennial Park, which together is a lovely spot to spend a day. Lake Centennial offers recreational activities, as does its surrounding park. There are walking trails surrounding the lake that give visitors the opportunity to see wildlife. There is even a wildlife area. The lake itself is a great place to go fishing for bass and trout, as well as other fish. Boating is allowed on Lake Centennial, but swimming, windsurfing, inner tubing and stand up paddle boarding are not. 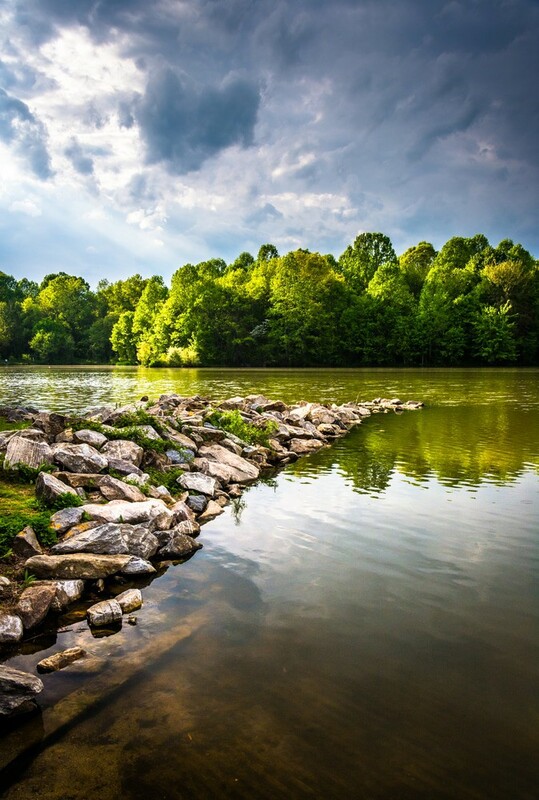 Jennings Randolph Lake is the perfect place to enjoy outdoor recreational activities. The 386 hectare reservoir is surrounded by campgrounds, picnic areas, hills and greenery, which combined is a total of over 1,820 hectares. Camping, hiking, hunting and eagle watching are inland activities offered at the lake, while the lake itself is a good place for swimming, kayaking, water-skiing and fishing. Jennings Randolph Lake is also home to Shaw Beach, which is a popular summer destination. There are to a few accommodation options at the beach, as well as playground for the kids. 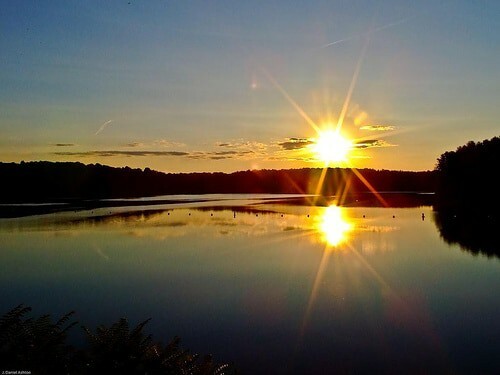 Located within Seneca Creek State Park, Clopper Lake is a 36 hectare lake that is surrounded by beautiful trees and aquatic vegetation. The average depth of the lake is 5.5 metres, though there are several shallow enclaves. Fishing is one of the biggest attractions of the lake, as it is home to an over-abundance of largemouth bass, as well as tiger muskies, channel catfish and black crappie. There are also black bass, though there are restrictions on fishing for this species. Clooper Lake is also a great place for kayaking and boating. The surrounding park boasts 80 kilometres of trails that are ideal for hiking, horseback riding, mountain biking and cross-country skiing. The man-made Lake Artemesia is named after Artemesia N. Drefs, who donated land to preserve open spaces. The lake is part of the Lake Artemesia Natural Area, just northeast of Washington DC. The 15 hectare lake is surrounded by the natural area, though the lake itself has fishing piers. There is also a beautiful aquatic garden. Surrounding Lake Artemesia is more than three kilometres of trails that are excellent for hiking and biking. The trail is a favourite amongst birdwatchers that want to catch a glimpse of orioles, finches, ibis and other birds. 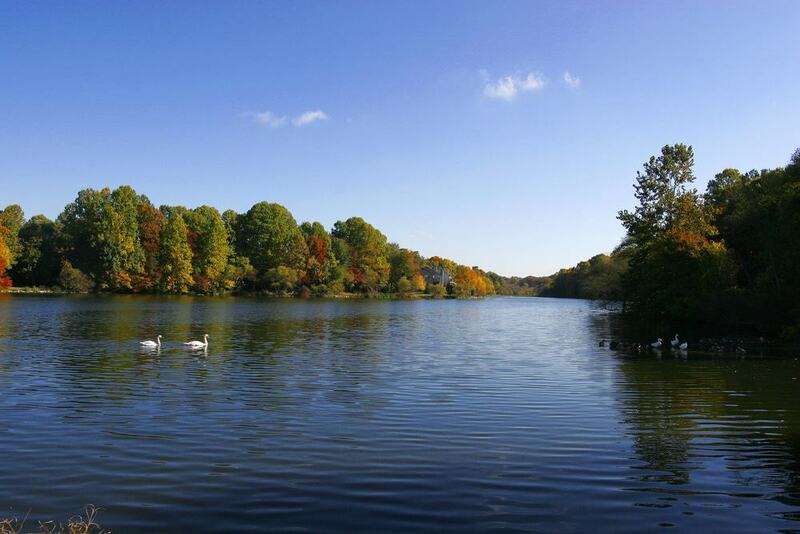 Columbia’s third largest lake, Lake Elkhorn is a 15 hectare reservoir that is surrounded by parks and houses. The lake features a small dam, as well a 9 hectare park with a picnic pavilion. There is a three kilometre trail encircling Lake Elkhorn that is popular amongst locals for walking and jogging. There is also a playground next to the lake where neighbourhood children often play. The lake’s deepest point is 4.5 metres, though on average its depth is just over two metres. Each year it is stocked with trout, while boat docks make fishing in the lake that much easier. 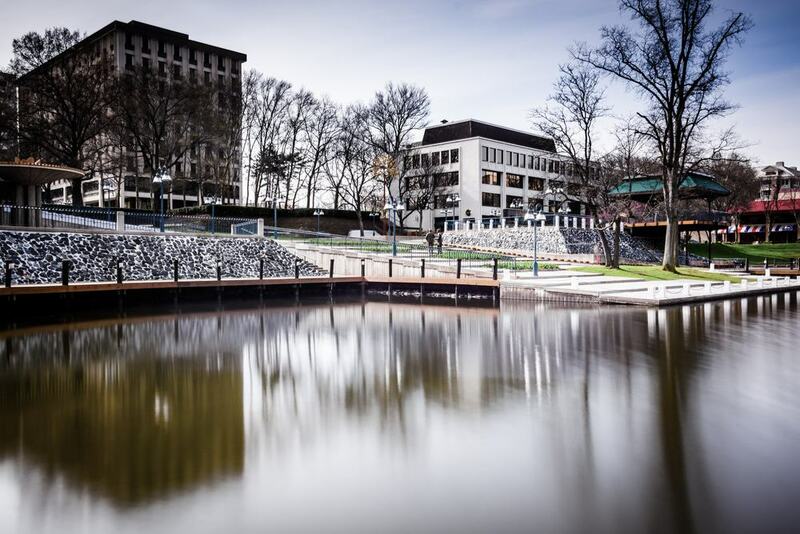 Lake Kittamaqundi sits right in Columbia’s city centre adjacent to the Rouse Company’s head office. The company created the man-made lake during the city’s development. Today, Lake Kittamaqundi and its surroundings is a popular spot for festivals. Still, it is a great place to spend an afternoon any day of the year. The lake has a boathouse with a pier and a launching ramp, with boats often going between the city and Nomanizan Island. This island is located right in the lake. This 24 hectare lake is the main feature at Gilbert Run Park. This fresh water lake is great for pedal boating, rowing, canoeing and kayaking. Wheatley Lake also has a fishing pier that allows park visitors to fish for bass, trout, bluegill and catfish. Fishing supplies can be purchased right in the park at a concession stand. If you would rather just enjoy the lake’s scenery, relax at a dockside pavilion or at a picnic table. You can also enjoy hiking along the four kilometre trail. Named after wilderness activist, Bernard Frank, this 22 hectare lake was originally built for flood control, as well as for recreational purposes. Lake Bernard Frank is surrounded by the Lake Frank & Meadowside Trails, making it a popular hiking and cycling spot. It is also a popular lake for fishing, with fishing being allowed from the lake’s shoreline. Swimming and boating are allowed in the warmer months, while in the winter the lake is a hot spot for ice skating. The lake is in a secluded area, though there are plenty of spaces in its car park. Triadelphia Reservoir was built in 1943 during the construction of the Brighton Dam. It was named after the former town of Triadelphia, which was washed away by a flood. The 3.2 square kilometre reservoir provides recreational activities for the community and visitors. Picnicking, hiking, horseback riding, fishing, boating and hunting are all allowed here. A license is required to bring boats on the lake, though self-powered vessels are always allowed. There are picnic tables surrounding the lake that make for are a nice spot to relax. Biking, hiking, fishing and bird watching can all be enjoyed at Liberty Reservoir. This 1,225 hectare reservoir is also a nice place to relax. Lookout areas provide lovely views of the reservoir and its surroundings. It is especially beautiful in the fall when the leaves are changing colours. Swimming is not allowed in the water, while camping is not allowed around it. The lake is owned by the city and is home to a firing range that is used exclusively by the Maryland State Police. Blairs Valley Lake is a 13 hectare lake that was built during the construction of the Blairs Valley Dam. Today, the lake is a prime location for fishing. Anglers can expect to catch plenty of largemouth bass, bluegill and tiger muskie. Redear sunfish, black crappie, brown bullhead, yellow perch and carp can also be caught when fishing here. No gas motors are allowed on the lake, but all other boats are. There is a boat ramp available for boat owners, but no boats for hire.